Reader Showcase: Send Me Your Blogs! I have decided to start a Reader Showcase! *Que the gold confetti and falling rose petals* This will be held four times a year for Spring, Summer, Fall and Winter (kind of like fashion week). The first one up is, of course, Winter! The first Winter Reader Showcase will be posted in early January 2016. The goal is to feature some of the best and most inspiring blog posts that fall into the categories of makeup, beauty, cosmetics, and style. Let everyone see what creative ideas you have come up with! Every blog post shared will be fully credited and include featured pictures, a direct link to the post, and up to two social media account links. 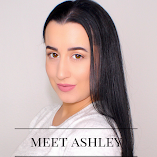 Submissions can be sent to contact@ashleyelizabethbeauty.com. Please include "Reader Showcase Submission" in the email subject. Please include your name, your blog's name, and a link to the post you would like to be considered. If you would like social media accounts to be mentioned, please include links for 1-2 accounts. Only submit a post that has been posted between September-November. I am looking for 15-20 awesome blog posts! All submissions will hear from me by early January if they have been chosen to be featured. I cannot wait to connect with YOU and to showcase your amazing blog and all of your hard work!